• Users with DSL providers – If you are using a PPPoE connection, you will need your PPPoE user name and password. If you do not have this information, contact your Internet provider. Do not proceed until you have this information. • Users with Cable providers – Make sure you unplug the power to your modem.In some cases, you may need to turn it off for up to 5 minutes. • Advanced Users – If your ISP provided you with a modem/router combo, you will need to set it to “bridge” mode so the DIR-810L router can work properly. 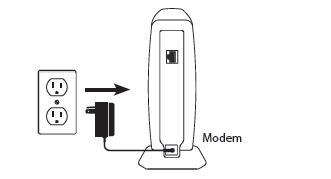 Please contact your ISP or refer to the user manual for your modem/router device. 2.Connect an Ethernet cable from the Internet port of the router to the Ethernet port on your DSL or Cable modem. 5.Plug the power adapter into your router and connect to an available power outlet or surge protector. If the Power LED does not light up, press the Power button on the back of the router. 6.After the router has powered up, verify that the Power (green) and Internet (orange or green) LEDs are both lit then continue with the Configuration section on the other side. 1.Open a web browser (e.g., Internet Explorer, Chrome, Firefox, or Safari) and enter http://dlinkrouter (Windows) or http://dlinkrouter.local. (Mac). You can also enter the IP address of the router (http://192.168.0.1). 2.When the Welcome screen appears, click Next to continue. 3.If the router automatically detects your Internet connection type, skip to step 5. If not, then select your Internet connection and click Next to continue. your ISP. Click Next to continue. 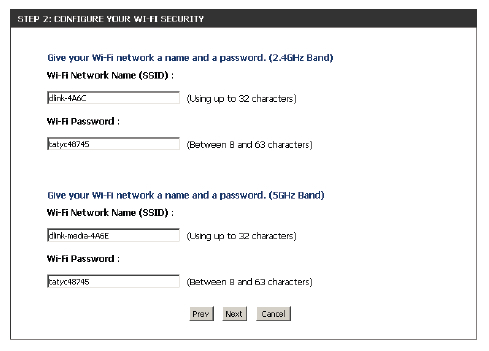 5.For both the 2.4GHz and 5GHz bands, create a name for your Wi-Fi Network and a password. Your wireless devices (i.e., tablets, smartphones, and laptops) will need to have this information entered to be able to connect to your wireless network. 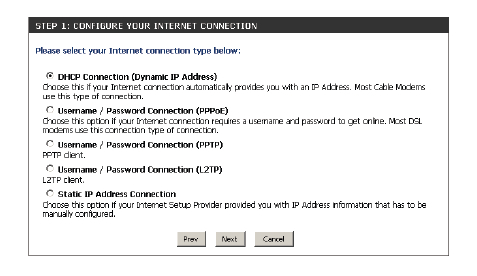 6.Continue with the Setup Wizard to finish configuring your DIR-810L router.Once completed, the Internet LED will turn green indicating that your router is connected to the Internet. Note: Setting up “mydlink” is optional and not required for the router to function.Congratulations! You have completed the router installation.